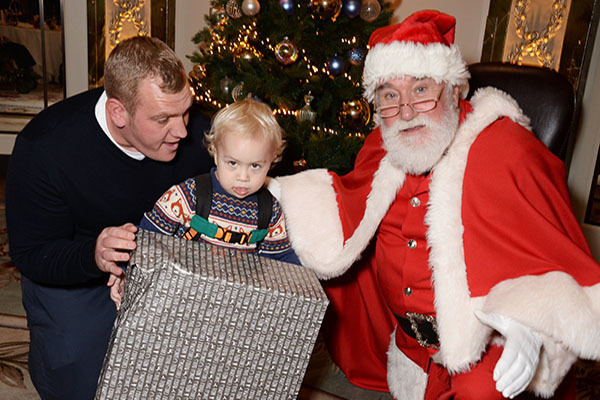 11 families from both Christopher’s and Shooting Star House were also joined by Father Christmas who took some time out of his busy schedule to meet the children and hand out some presents. 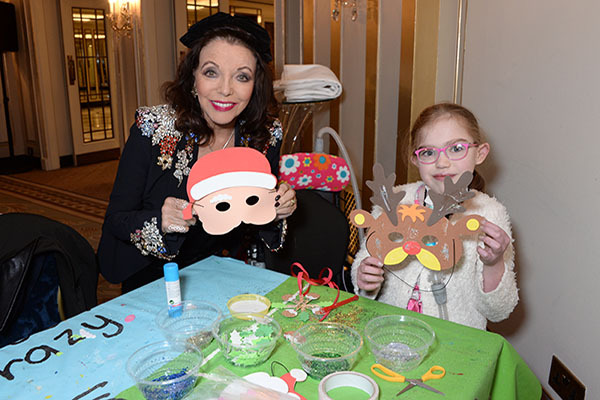 The special afternoon tea, provided by The Dorchester as part of their ongoing support for the charity, was held in the prestigious Gold Room, with prosecco for the parents and mocktails for the children. 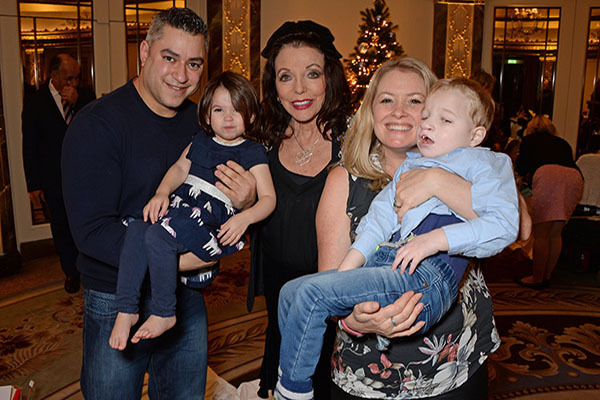 The afternoon tea is just one of the ways that Dame Joan has supported Shooting Star Chase over the years; she regularly donates clothes from her personal wardrobe to the charity’s retail shops and has appeared on Celebrity Deal or No Deal and Celebrity Who Wants to be a Millionaire to raise money for the charity. She received her damehood in 2015 for years of charity work after being nominated by Shooting Star Chase.